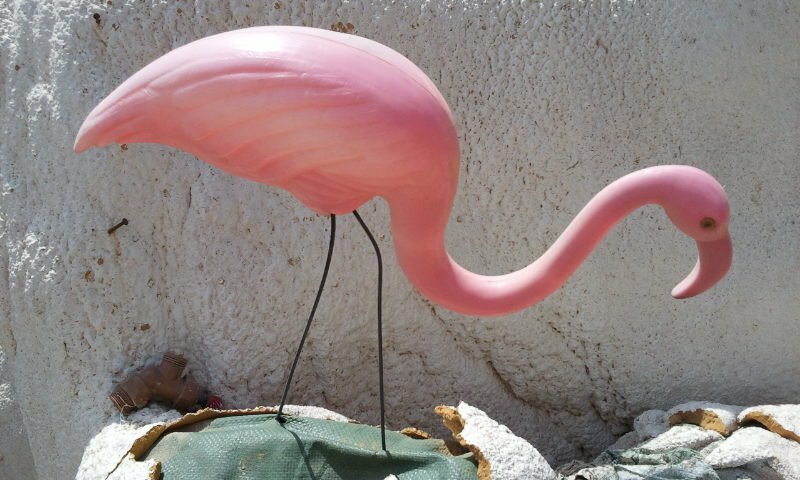 BOSTON (AP) — The creator of the pink plastic lawn flamingo, the ultimate symbol of American lawn kitsch, has died. Donald Featherstone was 79. Featherstone’s wife, Nancy, told The Associated Press on Tuesday that her husband died Monday at an elder care facility in Fitchburg, Massachusetts, after a long battle with Lewy body dementia. June 23, 2015. That was story that showed up in my Facebook newsfeed. I clicked to read it because pink flamingos are very symbolic to me. They mean "I made it safely." So why would pink flamingo's mean that? I promised a while ago I would tell you and after seeing the creator of the pink flamingo passed away from the same disease that took Mikey I figured it would be a good time. 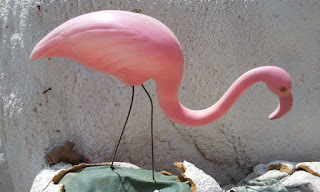 Before I do I think that the pink flamingo should officially become the symbol to raise awareness for Lewy Body Dementia. When Mikey was deployed in 2011 he went on missions between COB Adder and Camp Garry Owen. It took me a while to catch on to the quiet days when I wouldn't hear from him. He couldn't actually tell me when he was going or to where or his arrival information. Early in the deployment he had sent a couple pictures. 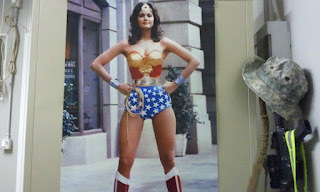 One was a poster of Wonder Woman that was on the wall of his chu (where he lived) at COB Adder. The other was a picture of a plastic pink flamingo outside of a building at Garry Owen. I don't know much about what went on in Iraq. I do know that "being outside the wire" was more dangerous. Going from point A to point B was outside the wire. There was no communication and I could do some very serious worrying during those times. Our hours were also opposite so it would be even longer before I might hear from him. When he arrived at Garry Owen he would send me a picture of the pink flamingo. That way when I woke up I would know without any information being given away. 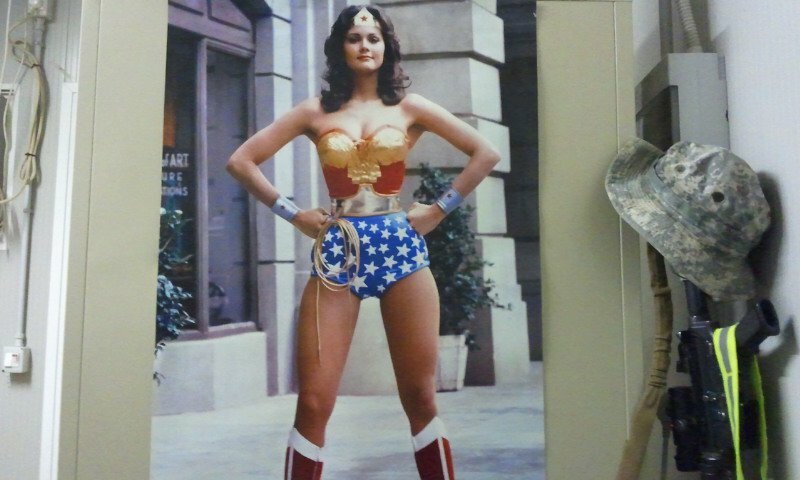 When he would return to COB Adder he would send me a picture of Wonder Woman letting me know he had safely returned and was being watched over. Wonder Woman and pink flamingo's have since kept special meaning to us. When we moved from Texas to Minnesota in January they also played a role. 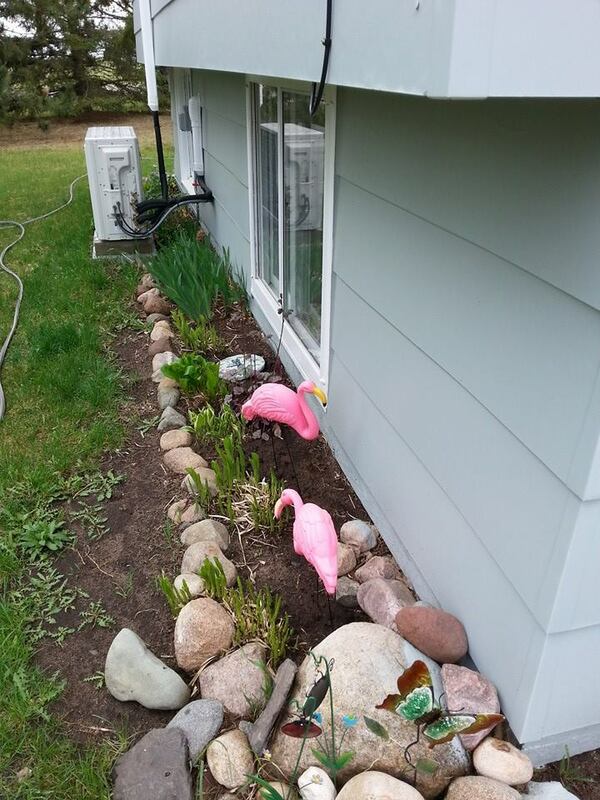 His mother had sent my mother two pink flamingos to put in the yard. This was quite a challenge to do in Minnesota in January! My brother made a pile of snow and there the flamingos sat waiting for his safe arrival. I wish I could have seen and heard him when mom pulled into the driveway and he saw him. She said he was so excited. I can only imagine. I had taken the Wonder Woman magnet off our fridge in Texas and stuck it in my purse. When I arrived two days later she was placed on the fridge. We had both made it safely. Before Mikey passed he told me that when he did to post the flamingo picture as his cover photo to let people know he had made it safely. I did. It is still his cover photo. This was posted on his wall. "Mikey's mission has been completed with valor. He has safely reached his final destination." 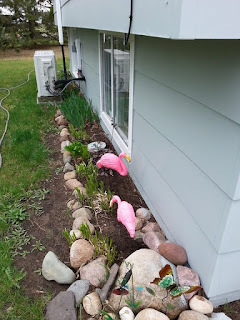 I still have the flamingos in the yard. I always will. Never thought I would be one of those people with pink plastic flamingos but I am and I'm proud of it! Taken in early spring. They are now drowning in hostas and need to be slightly relocated.